We offer DJ lighting and uplighting. 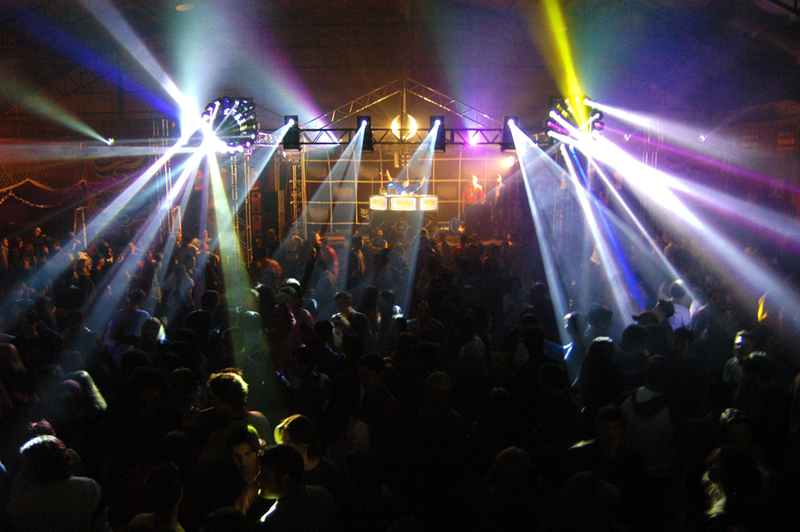 DJ lighting includes lights that illuminate the dance floor and create a nightclub atmosphere. Our standard packages include moonflower effects that project multicolor beams across the floor that dance in sequence with each other to the beat of the music. In addition we regularly include a mirror ball effect perfect for an elegant first dance. If you’re interested in kicking things all the way up, we offer a fog machine that will highlight each light beam as it sweeps through the room. Uplighting allows you to transform a room by projecting atmospheric lights in any color up a wall, column or on draped fabric. 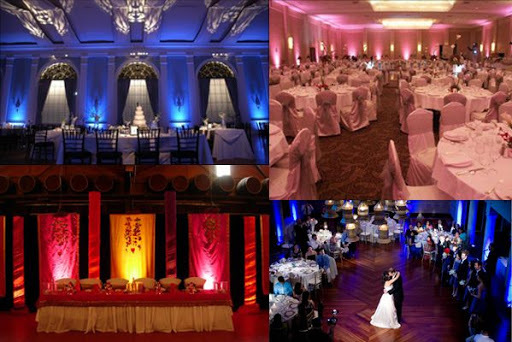 We use LED uplights that we can set to any color you choose allowing you to match the color perfectly to your decor. With our state of the art LED Uplighting we can even change the color of the lighting during the course of the evening. Imagine your event going from a warm burnt orange dinner environment to a cool blue nightscape with the flip of a switch. While traditional bulp uplights get very hot to the touch and have been known to burn people who get too close, LED Uplights stay completely cool throughout the event.